Dr. Robert Yancey practices Orthopaedic Surgery in Gig Harbor, Washington in the United States. He is affiliated with Mary Bridge Children’s Hospital in Tacoma, Washington, Seattle Children’s Hospital, and the University Of Washington. 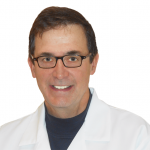 Dr. Yancey attended Northwestern University and Graduate School and received his Master’s degree in Neuroscience. He also completed research in Sensory Physiology in the Medical Physics Department of the University Of Utrecht, Netherlands. He matriculated at Harvard Medical School in 1978. During medical school, he was awarded a Henry Luce Foundation grant to pursue a one-year project working with the integration of traditional healers and western medicine in the Philippines. He returned to finish medical school in Boston and then completed an internship in Pediatrics at Seattle Children’s Hospital followed by General Surgery at Virginia Mason Hospital in Seattle. After completing two years of training, he returned to Nepal with his wife and ran a medical clinic in Kathmandu for Tibetan refugees. He then returned to Boston and Massachusetts General Hospital and completed his residency in Orthopaedic Surgery followed by a fellowship in Pediatric Orthopaedics and Sports Medicine at Boston Children’s Hospital. Dr. Yancey has worked with Health Volunteers Overseas since 1990 and volunteered in Pakistan, Nepal, Vietnam, Bhutan, and Tanzania. He has also served on the Surgical Implant Generation Network Board Of Directors and worked on SIGN projects in Myanmar, Bhutan, and Tanzania His work has been funded by multiple grants through Harvard Orthopaedics including the Moseley and Cave Foundations grants. Dr. Yancey’s primary interest overseas has been the use of appropriate technology and the treatment of pediatric femur fractures with a technique devised to implement low-cost and easily accessible materials. He is the author of the Global HELP publication “TIPS” for the management of pediatric femur fractures in developing countries. He remains devoted to the concept of low-cost technology implementation, low-cost information access, and sharing between developing and developed nations.